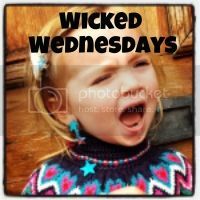 Not one, but two from the archives for this weeks Wicked Wednesdays. H, when he was younger, loved messing ordering zithromax with the toilet rolls… both resulting in two very different messy situations…. who needs a dog eh? Eeek! Why do kids love toilet roll so much?! Hehe, sorry! but the first one made me giggle, in my house I would walk in to that scene and Boo would say ‘oh no! !’ and hold her hands up as if she has just discovered it too. Ah awesome photos!